The Yorkshire Leadership Group (‘YLG’) is an independent leadership development organisation for SME business owners and senior directors. Our belief, supported by academic research, is that leaders and managers are not usually able to analyse problems and formulate plans alone but, rather, need to be able to read situations and gain their understanding through others. The YLG provides SME leaders with relevant external stimuli to enable them to achieve their aspirations more effectively and more efficiently. No professional sportsperson would ever compete successfully without physical and mental preparation and coaching; they don’t just practice by themselves and achieve perfection! The same rules apply to business – you can do better by developing your natural skills and being ‘fit for business’. Facilitated peer group development – also known as action learning sets – which is a proven formula for improved business performance. 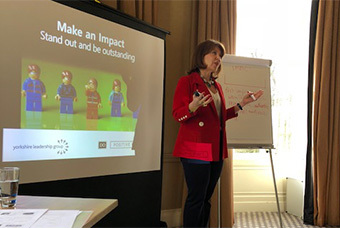 Mentoring – working one to one with a business leader to provide support enabling greater clarity, better decision making and prioritisation of activities. The peer group format gives members a unique opportunity to benefit from the experiences and skills of the group, whose only agenda is to help and support each other. It provides space to work on their businesses rather than in them. The benefit of a peer group – it is no longer lonely at the top!